MY THOUGHTSABSOLUTELY LOVED ITWhat a treasure trove of artifacts are contained in this latest edition of The Art of Steampunk. 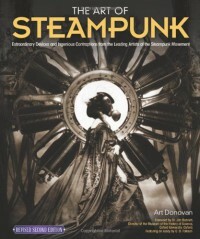 I have several books on Steampunk art and a large collection of fiction based on the art. This book brings to life some of my favorite things about the movement. It is neatly divided into artists and also contains a section on the Art of Steampunk that was presented in England. I found some new artists like Jessica Joslin and Eric Freitas that have some amazing sculptures. It also contains the art of Richard Nagy, creator or the steampunk computer. The pictures are of very high quality and nicely laid out with a page about each artist and then a few more with lovely snaps of their work. I found so many things I would love to own and display. I just love the whole style of this art work. This would make a wonderful gift for lovers of the odd and unique. I thought this was a bit more educational than the first edition with more information about the whole movement. I wish that some of my favorite steampunk authors would have been mentioned to round things out. 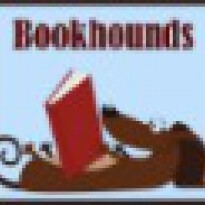 You can check out Jules Verne, Cassandra Clare, or Gail Carriger who are all amazing authors.